Cocaine Godmother is the new film by Guillermo Navarro with American actress Catherine Zeta-Jones who was at MIPCOM 2017 to promote it. At MIPCOM 2017, the most anticipated event was the arrival on the Croisette of the American star, Catherine Zeta-Jones. The 48-year-old actress came on October 17, 2017 to present Cocaine Godmother, the new Guillermo Navarro film. 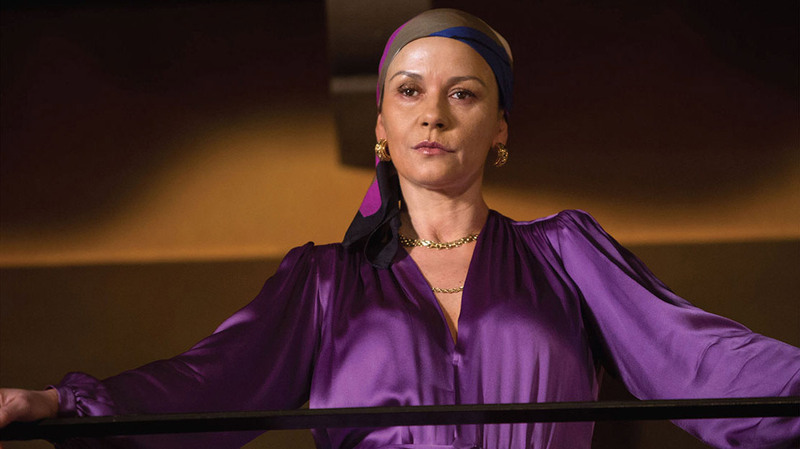 In Cocaine Godmother, the actress plays the leading role, that of Griselda Blanco, one of the greatest figures of the cartels in the 70s and 80s. Michael Douglas’ wife appeared sublime and visibly happy to return to her first love: cinema. On Monday morning, the American star originating Wales, indulged with force and humor in the game of questions and answers at a press conference organized in her honor by MIPCOM, Lifetime and A + E Networks. Catherine Zeta-Jones posed put under the photographers’ flashes on the famous Croisette. In the evening, she appeared dazzling in a long black sheath dress with a vertiginous neckline to walk the Red Carpet of the MIPCOM opening party at Hotel Carlton. The film, whose storyline is based on a true story, will be released in 2018 on the Lifetime channel. 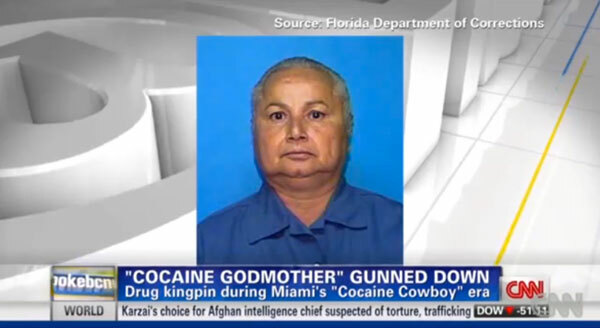 Cocaine Godmother, based on interviews and archive documents, traces the epic of Cocaine Cowboys trafficking in Miami between the late 1970s and the early 1980s. After serving their sentences, Jon Roberts and Mickey Munday tell their more or less fortuitous arrival in the drug community. First marijuana traffickers, they turn to cocaine trafficking, which is much more lucrative. To bring the drugs from Colombia to the United States, they charter aircraft or boats. During the first years, the increasingly strong demand combined with the laxity of the customs officers contributed to their enrichment. Quietly seated in a chair, these two middle-aged men, looking like average Americans, laconically tell their story that inspired Brian De Palma’s Scarface (1983). As if they told the story of an early jog, the former traffickers highlight the expeditions in which the transport of hundreds of kilos of cocaine earned them millions of dollars. 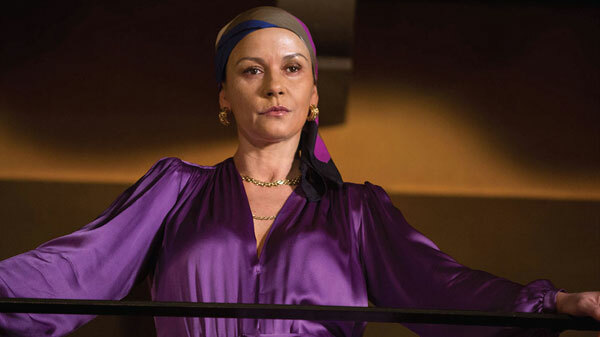 The last part of the film focuses on the story of Griselda Blanco, nicknamed La Madrina, The Godmother or The Black Widow. 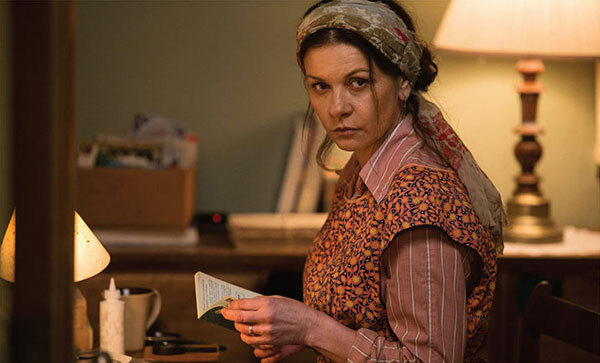 An assumed bisexual, known for having murdered her three husbands, mother of four including one, baptized Michael Corleone in tribute to the character played by Al Pacino in Coppola’s The Godfather, she won her place in this particularly machist and violent world by sheding blood without discernment. At the end of the press conference, to the question: “What are the main lessons that Griselda Blanco could send us today?” Catherine Zeta-Jones replied: “Shoot them in the head!” before bursting out laughing. For thirty years, MIPCOM, international market of audio-visual contents, has been the global meeting of the producers of program and the television channels which come to make their market. For four days14,000 participants were able to organize exchanges, meetings, screenings, promotion and business on the series presented by international television actors. This year, between MIPJunior and MIPCOM, a dozen new television series were presented by their actors on world premieres.